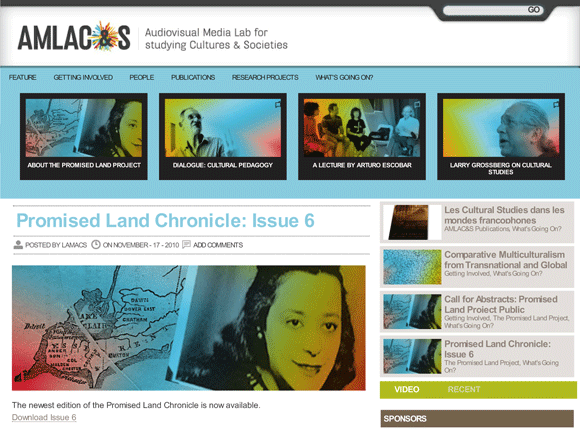 The Audiovisual Media Lab for the study of Cultures & Societies is a SSHRC-funded research lab at the University of Ottawa. Its main purpose is to study the cultural practices of communities of marginalized identity groups such as blacks and aboriginal people. I designed the lab’s identity to manifest the ambition and energy that the lab’s Director (Boulou de b’Béri), research assistants, and research projects collectively exhibit. The identity has been implemented through a variety of media, including the main website, project reports, and several conferences organized by the lab.